Tattered and Lost EPHEMERA: More cowbell please...I MEAN CARS! 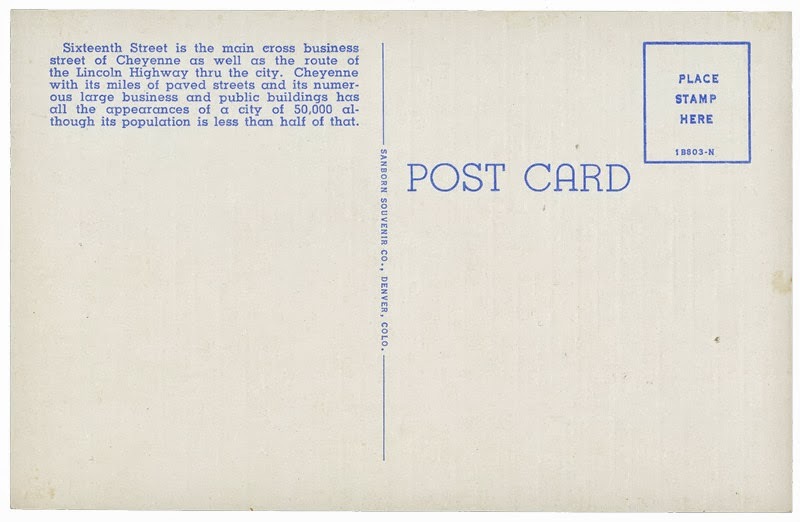 The Plains Hotel in Cheyenne, Wyoming has been open for business since March 1911. Many a buckaroo and buckarett have passed through their doors. I figure at one point in the early 1960s I drove by at least twice. 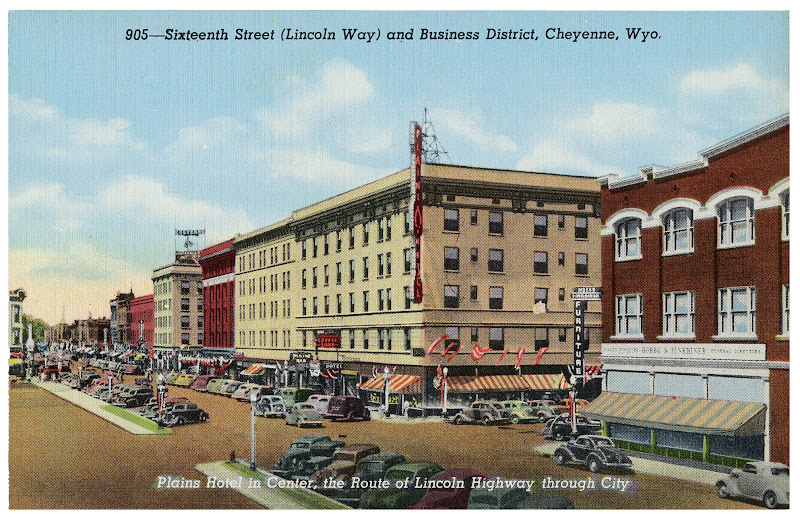 In the late 1800’s the City of Cheyenne, Wyoming was called "The Magic City of the Plains,” so it was only appropriate when a luxurious hotel opened in 1911, it called itself the "Plains Hotel.” The concept of the elegant hotel was born at the annual $1 dinner of the Industrial Club (now the Chamber of Commerce) in December, 1909. My only question pertains to the card shown above and the abundance of cars parked along the streets. I wonder if all of these cars were in the original photo or did the boss at the Sanborn Souvenir Company in Denver say to his staff artist, "More cars!" You can never have too many cars on a post card or cowbells in a song. UPDATE: Interestingly enough, more cars do indeed make a difference. Here's a similar card by the same company. Bustling! Not bustling.